Lille Suprem Pants Super are incontinence pants that serve as a comfortable and discrete option for managing moderate incontinence. The pants feature an elasticated waist band, allowing for maximum flexibility and providing the user with a sense of freedom and control. 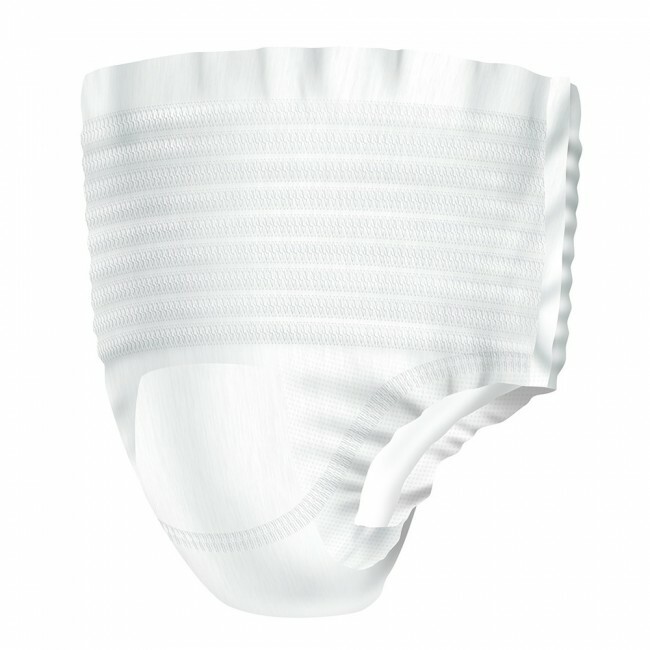 They also help to provide protection against any leakages throughout the day. Lille Suprem are easy to put on and allow plenty of space for a comfortable, making them ideal for users who lead an independent and active lifestyle. The pants feature a super absorbent polymer, that not only gives the pants excellent absorbency, but also acts as a very effective odour neutraliser. This enables you to relax without the worry of any unwanted odour throughout the day. A special wetness indicator is also included in the pants, which informs you of when to change the pants. Advanced technology allows the indicator to turn blue when there is a large amount of saturation, indicating the need to change the pants. If you require an incontinence product which is comfortable, flexible and feels just like normal underwear, Lille Supreme Pants Super may be the ideal product for you.